In 1994 in response to concerns in the community, we were persuaded to try a new model of community policing. 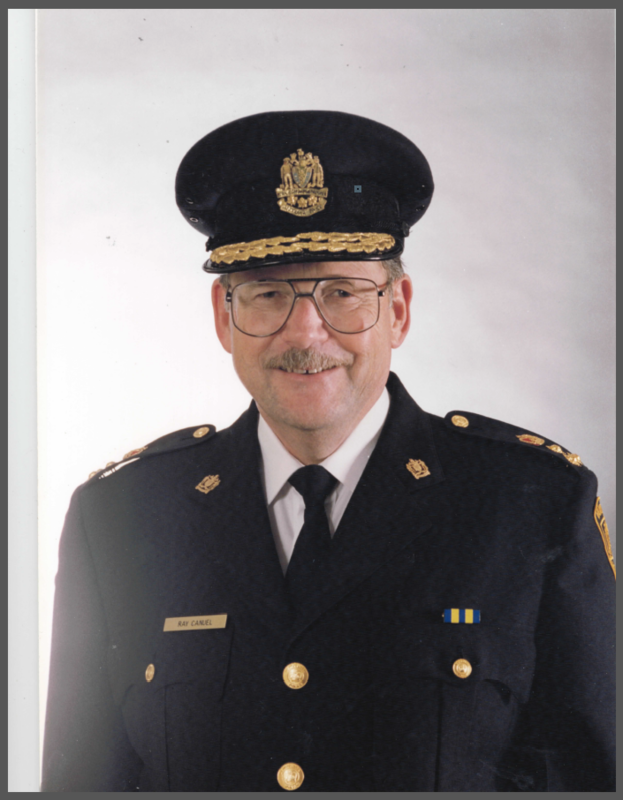 Thanks to the then Chief Ray Canuel (retired), who put his heart and commitment into making it work together with Inspector Rick Stevens, he set about showing the members that he was fully committed and engaged in the future of this new way of community policing. This new model is one in which the community owns, operates, and maintains the office in partnership with the police. It was and continues to be a win-win for all. In April of 2016, it will be 22 years of successful community participation in keeping Vancouver the “Safest City in Canada”, and community policing continues to flourish. In the first few years, without Ray’s dedication and strong belief, this model would not have existed and thrived. Together with his wife, he was at every important event to demonstrate that this was the way of the future. In honour of that legacy and in memory of the man behind it, the Collingwood Community Policing Centre is proud and privileged to change our senior programs to the CHIEF RAY CANUEL SENIOR PROGRAMS. This includes our SafeTeas, All about M.E., Scooting Seniors, and any other programs that involve seniors.